Last week, the 1997 Tour de France champion was admitted to a psychiatric hospital after his brief detention for allegedly assaulting a prostitute. 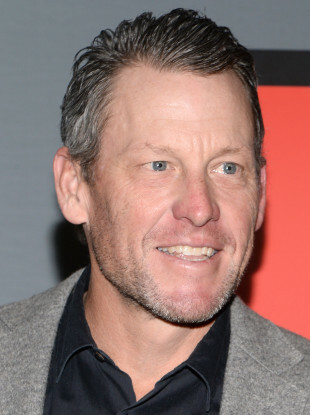 LANCE ARMSTRONG FLEW into Germany to support troubled former rival Jan Ullrich this weekend, describing the 1997 Tour de France champion as a friend who “scared and motivated me”. “So great to spend the day with this man. As many of y’all know, I love Jan Ullrich. He was such a special rival to me. He scared me, he motivated me, and truly brought out the best in me. Pure class on the bike,” wrote Armstrong on Instagram. His remarks accompanied a picture of the two men embracing beside a swimming pool. “Fast forward to today and my friend is going through a rough patch. I couldn’t pass up the opportunity to come to Germany to spend a few days with him. Please keep Jan in all of your thoughts and prayers. He needs our support right now,” added Armstrong who was stripped of his seven Tour de France wins after admitting doping. Last week, Ullrich was admitted to a psychiatric hospital after his brief detention for allegedly assaulting a prostitute. The 44-year-old was released on bail pending an investigation for possible attempted manslaughter. That run-in with the law came just a week after his 24-hour detention in Spain, where he had sought to force his way into the Mallorca home of his neighbour, German actor Til Schweiger, and threatened him. Email “Lance Armstrong jets in to Germany to support troubled Ullrich, 'friend who scared me'”. Feedback on “Lance Armstrong jets in to Germany to support troubled Ullrich, 'friend who scared me'”.